According to various reports, Governor Scott Walker has been speaking with state legislators on a package to provide schools with increased security measures. The proposal comes on the heels of a national discussion on school safety following last month’s school shooting in Florida. While details have yet to be released, the proposal is said to focus on providing a certain amount of tax dollars to schools to pay for security improvements to school buildings. These improvements could include installing new locking systems, security cameras, and other safety features. It is unclear how much the proposal costs. State Superintendent Tony Evers is also calling for improved security similar to Walker’s plan, but Evers also wants $50 million for prevention programs and mental health counselors. Legislators and Walker ideally want to pass the proposal this spring. 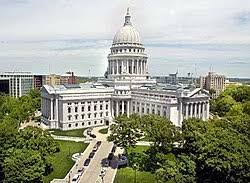 In order to so, Walker will need to call a special session of the legislature to guarantee both houses return for floor session. State Assembly leaders have insisted since their final floor date in February that they will not return for a regular floor session date. However, they would return for a special session.